Reynu Taandon’s collection Once Upon A Dream celebrates the surreal and the whimsical florals around the globe. 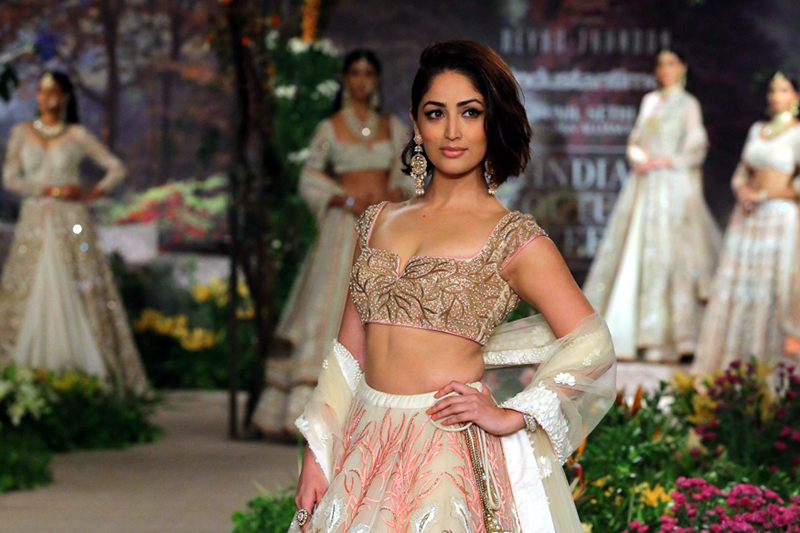 Actress Yami Gautam made heads turn as she graced the ramp in a tastefully crafted Reyna Taandon lehenga on day 5 of India Couture Week 2018 in the capital. 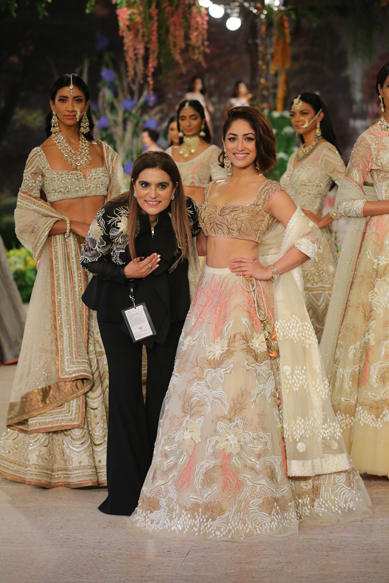 Dressed in a stunning, voluminous ivory tulle skirt that featured intricate detail in pastel pink, white and gold teamed with a pale gold blouse created with ornate embroidery, Gautam cast a spell on onlookers as she sashayed down the runway to present the showstopper garment. Minimal makeup with a winged eyeliner, statement earrings, ring and a spectacularly crafted bangle rounded off the her look. [post_ads]Taandon’s collection Once Upon A Dream celebrates the surreal and the whimsical florals around the globe. The line was all about beautiful blend of pastel tones & tender flora, intricate detailing and surreal sequin work that gently weaved in the magic and mysticism of rich luminous hues. It is a collection that draws inspiration from the contemporary bride — a girl that re-conceives fashion with all that's modern and minimalist with a classic twist.